Since I just got my Logitech G13 gamepad I have started making some profiles. It doesn’t look like there are all that many out there in the community. At least I couldn’t find them quickly. So I figured I would start adding them to my blog for later. This way I can link to them from other sites. I got Firefall as part of the beta and enjoyed it so I made a profile for it. 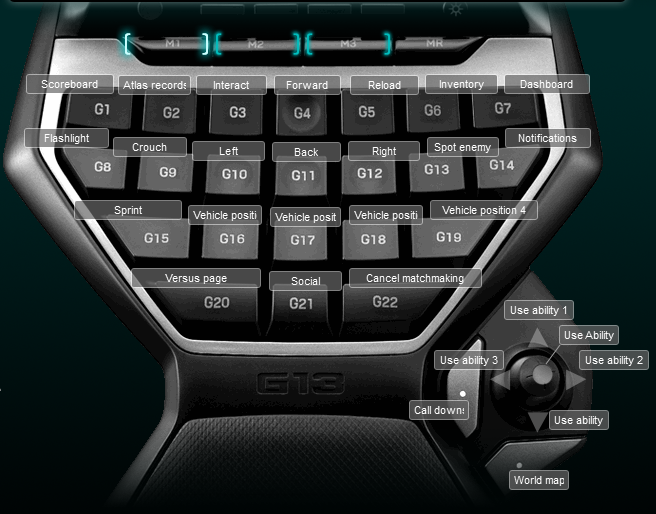 Below is a screen shot of the keyboard layout.